How does cannabis treat autoimmune diseases? Is the herb really effective? Here’s how cannabis reduces inflammation and calms down the immune system. Cannabis is famous for providing consumers with a happy, trippy good time. Yet, when it comes to the immune system, the herb is all business. Not only is the plant effective at relieving some of the pain and uncomfortable symptoms of autoimmune disease, but it is showing a lot of potential as a powerful immunomodulator. Perhaps the most important question here is, when it comes to cannabis and autoimmune diseases, does the herb actually work? An autoimmune disease arises when a hyperactive immune system mistakes your own cells for a foreign invader. If your immune system is healthy, it seeks out and defends your body against pathogens. Each time they encounter one of these pathogens, the immune system creates a special protein called an antibody in response. These antibodies help the body take down very specific threats. In autoimmune disease, your body develops and produces these antibodies in response to very specific organ tissues. These antibodies act as signals to let the immune system know that these are tissues to be targeted. Once something is flagged with an antibody, special cells called T-Cells do the dirty work and destroy whatever has been marked. These antibodies can be made in response to all sorts of things. In some autoimmune diseases, antibodies against neurons in the brain are abundant. In others, you may find antibodies against specific types of cell receptors or enzymes. Unfortunately, there are no cures for autoimmune diseases. 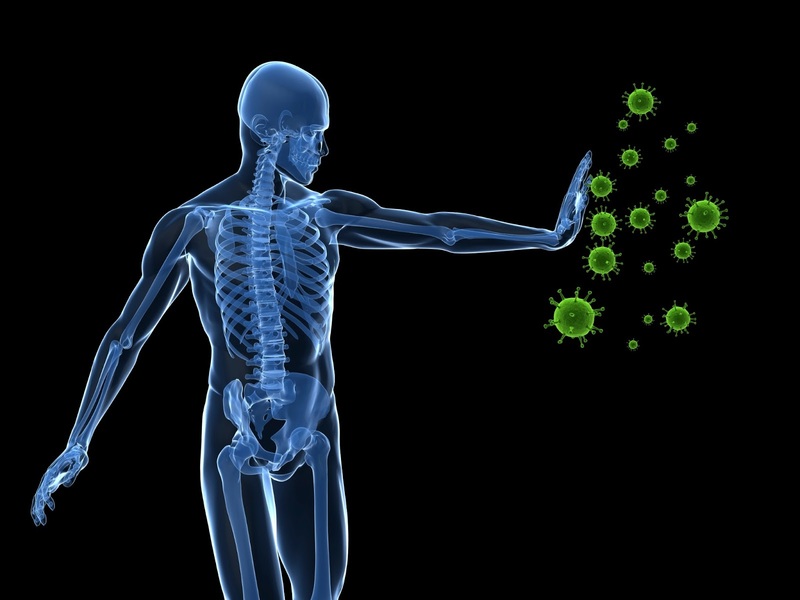 How does cannabis engage the immune system? When most people think of cannabis, the psychoactivity of the herb is one of the first things brought to mind. However, the plant’s effect on the immune system is a major reason the herb has so much therapeutic potential. This gives the herb the potential to fight cancer, ease neurological disorders, combat autoimmune diseases, and calm swelling. But, what makes this possible? It’s all thanks to the endocannabinoid system (ECS). Cannabis compounds like psychoactive THC connect with special sites on cells called cannabinoid receptors. These receptors provide a way for your cells to receive messages and respond to the communication. In this case, messages come in the form of endocannabinoids. Endocannabinoids are the human version of THC. When you consume cannabis, active chemicals in the plant replace endocannabinoids at these receptor sites. Turns out, these receptors and chemicals help the immune system communicate with the rest of the body. Thus far, scientists have found two primary types of cannabinoid receptors, cannabinoid receptor 1 (CB1) and cannabinoid receptor 2 (CB2). CB1 receptors are most abundant in the brain, but they are also found on immune cells. CB2 receptors are most abundant in immune cells. The presence of these receptor sites is a good indication that the ECS plays an important role in immune regulation. Research has discovered that endocannabinoids are immunomodulators. Endocannabinoid levels rise when there is a pathogen threat. They also have been described as negative modulators of the immune system. Simply stated, this means that the compounds help the immune system “turn off”. When plant cannabinoids engage these sites in autoimmune cells, they have a suppressant effect on the immune system. This suppression raises some concerns for medical professionals, as having a repressed immune system can create vulnerability to illness and certain types of cancers. Though, research goes both ways on the cancer topic. Plus, animal and cellular research found that cannabis can kill some forms of cancer cells as well. […] Further research of these compounds could provide opportunities to treat a large number of clinical disorders where suppressing the immune response is actually beneficial. If your immune system is hyperactive, chances are you’re experiencing quite a lot of inflammation. Inflammation happens when something causes damage to tissue. This could be a direct injury, bacteria, toxins and a variety of other causes. In response to the trauma, cells start to secrete a variety of compounds which trigger blood vessels to leak fluid into the damaged area. This swelling keeps the foreign invader or toxin from spreading to other areas of the body. They also act as immune signals, triggering immune cells to rush to the area. The problem with chronic inflammation is that it prevents your body from functioning normally. When your joint is inflamed, it becomes stiff and difficult to move. When inflammation happens in an organ or another part of your body, it simply cannot work very well. It can also cause serious damage over time. Losing the functionality of any body part is disastrous to long-term health, can contribute to a cascade of other symptoms, and can even cost you your life. In autoimmune disease, your immune system continues to target and attack the same areas repeatedly. It’s like you have an infection that will never heal. In order to regain and maintain function in whatever tissue is being attacked, you need to calm the immune response and cut down inflammation. Research from 2014 made the groundbreaking discovery that cannabis can make changes to specific molecules called histones. Histones help control gene expression. 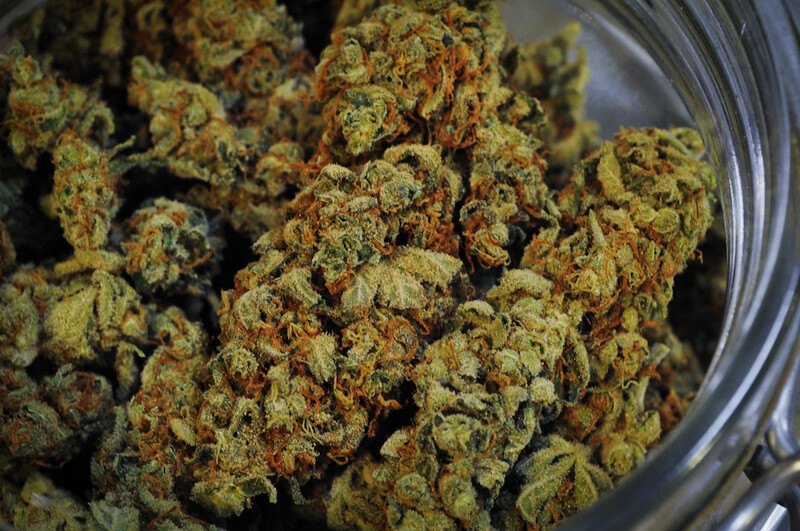 The research found that THC can cause changes to histones in a way that suppresses inflammation. 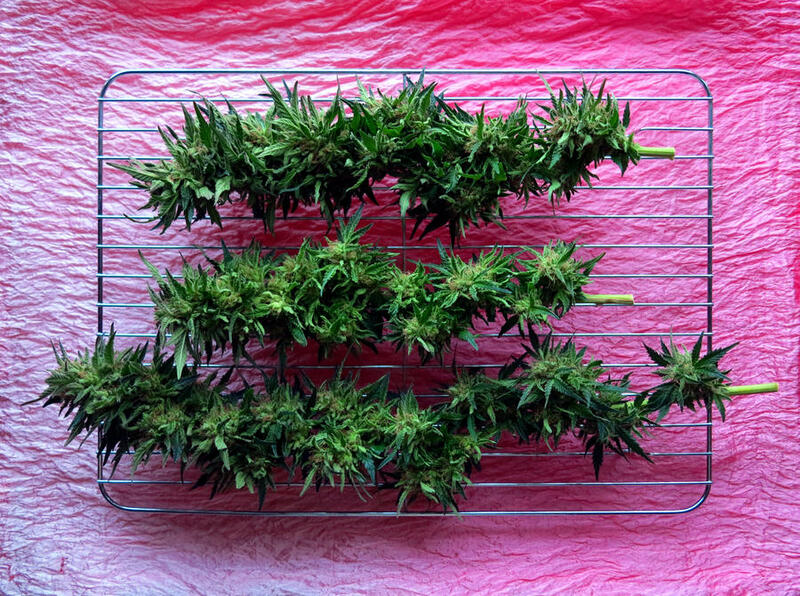 Further, studies have shown that cannabinoids downregulate certain inflammatory proteins called cytokines. In 2008, researchers used animal models to test the effects of nonpsychoactive CBD on type 1 diabetes. They found that CBD treatment caused levels of pro-inflammatory cytokines to decrease, while levels of anti-inflammatory proteins increased. The immune imbalance was tentatively corrected by CBD. Cannabis is such a powerful anti-inflammatory that it has been shown to aid in remission of Crohn’s Disease. Crohn’s is a bowel disease in which inflammation in the gut runs rampant. In a 2014 placebo-controlled trial, researchers treated 21 Crohn’s patients with either cannabis or a placebo. 11 patients were given cannabis. Out of the 11, five patients were in full remission by the end of the trial. 10 of the 11 patients showed improvements in their Crohn’s symptoms, compared to only 4 of 10 placebo controls. We still have a lot to learn about cannabis and autoimmune disease. We do know is that active compounds in the herb can modulate immune function and reduce inflammatory response. Autoimmune diseases and the endocannabinoid connection is a complicated topic, but here’s are a few brief summaries on the herb’s impact on three common conditions. Cannabis seems to help those with type 1 diabetes in an interesting way. As mentioned earlier, the herb can calm inflammatory proteins in the pancreas. Yet, back in 2001 researchers put THC to the test in rodents with autoimmune diabetes. After treatment, the researchers found that the mice had lower incidences of hypoglycemia. The rodents also had a significant decrease in the loss of insulin. Additional studies show that cannabis treatment may help manage some of the symptoms of diabetes, including neuropathy and retinopathy. For a larger look into how cannabis helps diabetes, check out our article here. In 2013, researchers discovered something interesting about Rheumatoid arthritis. Cells taken from RA patients had more CB2 receptors in their immune cells. In a sense, the increased number of receptor sites is a sign that the cells are calling out for more endocannabinoids. For some reason, the cells need an increased amount of endocannabinoid stimulation to function properly. Earlier research from 2003 found tested the effects of CBD on rodents with laboratory-induced arthritis. After injecting an inflammatory compound, they treated the creatures with CBD. The cannabinoid decreased inflammation in a dose-dependent fashion. The inflammatory markers continued to decrease with consecutive treatment. For more information on how cannabis eases arthritis pain and inflammation, take a look at the article here. Though CB2 receptors are most commonly associated with the immune system, a research review has cited evidence that Crohn’s (CD) patients have increased expression of CB1 receptors in both the brain and the gut. High levels of endocannabinoids anandamide and 2-AG have also been found in the intestines of those with CD. Similarly to arthritis, the overexpression of these receptors is a sign that the cells are calling out for more cannabinoids. This is a good sign that cannabinoid therapies hold therapeutic promise for the disease. The review also explained that cannabinoid treatment has been shown to reduce inflammation in the gut. For more information on cannabis and Crohn’s disease, check out the full article. Angie was diagnosed with lupus in December of 2010. She had been on the standard drugs steroids and low doses of chemotherapy drug methotrexate. Methotrexate is an immune suppressant, which is why it is used in cancer treatment and serious autoimmune disease. After developing serious infections on these drugs, she made the switch to cannabis. She began using high CBD cannabis oil and juicing the raw leaves of high-CBD cannabis plants. Cannabis oil that is high in CBD helps lupus in a lot of ways. For one, it helps reduce inflammation. It helps with nausea, it helps with energy levels, with the exhaustion that you feel from lupus, it helps with that. It helps with better sleep, longer rest, more sound rest. It definitely helps with keeping things like the lichen planus [skin rash], which is something I deal with from lupus. I haven’t delt with it since I’ve been on cannabis oil. Also vasuclitis [inflammation of blood vessels]. I haven’t even had a mylar rash for more than two days since I have been on the oil. It really does keep the lupus in remission. It really does help keep the immune system in check. All in all, this simple article barely scratches the surface on cannabis and autoimmune disease. It’s clear that the endocannabinoid system is a key aspect of immune function. Yet, we’ve still got a long way to go when it comes to learning just how the herb impacts immune function. For now, it’s safe to say that there seems to be a very good reason why autoimmune patients are turning to the herb for relief. Has cannabis helped your autoimmune disease? Share with us on Facebook, Twitter, or in the comments below. We’d love to hear from you!